Killer Character’s authors have some red-hot releases this month! Celebrate your right to read by trying them all! But Erin’s plans get scorched when one of the contending cooks is found dead. With all the drama going on behind the scenes, it’s hard to figure out who didn’t have a motive to off the saucy contestant. Now, to keep the town’s rep from crashing and burning on national television, Erin will have to grill some suspects to smoke out the killer. After a brief vacation to escape the summer heat, Olivia returns home to find the safe at her beloved store stuffed with unfamiliar cookie cutters. The cutters are part of a priceless set owned by former local Greta Oskarson, who has returned home after fifty years in the hopes that Olivia will broker their sale. But it turns out they’re barking up the wrong tree when Dani finds Frank murdered in his own sugarhouse. As the sabotage continues, she realizes that Frank was framed. With the help of her family, and a handsome official from the Fish and Game Department, Dani must catch the killer before another syrup maker kicks the bucket. Recipes included! So in order to bring some prospective buyers into the mix, Merry whisks together a spooky soiree and decorates the castle with dashes of fabric and a sprinkling of spider webs. Friends new and old are invited, and everyone has a blast. But as the revelers empty out, Merry notices one partygoer who isn’t leaving—or breathing. Now Merry must hurry to unmask a killer before her perfect plans turn into a recipe for disaster. Do you love giveaways? Are you an avid summer reader? Good luck and be sure to leave an email address in your comment so Daryl a.k.a. Avery can contact you! oh my goodness! ever since I heard about this author I've been wanting to read these! but with my wedding coming up in about 18 days and having to pack to move as well, I am trying to not buy a ton of books. this would be amazing to win! Britt, lovely to hear from you. Congrats on the wedding! I love the thought of some recipes. These books sound amazing. Debby, thanks! I love recipes. I'm an avid reader no matter the season—thanks for the opportunity to win a new read! Great to hear! Read on! I love both series and read throughout the year! afarage at earthlink (dot) net. I love both these series and have read them all! You are a phenomenal author! Thank you! Robyn, thank you so much! Two great series and a wonderful release day for others. Right? Great series out for the summer! Read them all. These books look great. I'm adding them to my reading list right now! Preordered these... I can't wait! I'm "hungry" for a new book! I read all year round. Summertime lets me read more often, because there are less demands for my time than during the school year. I am always looking for something new to read!! Good for you! Enjoy the extra time. I love to read every day. You will always find me with a book in my hand, no matter what season it is. That's what we authors do...entertain. Or at least we hope to. I love the Cookbook Nook series and my sister and I are just starting the Cheese Shop series. Thank you for the chance to win! Isn't it great when you are a young reader?! Love it. Now that's a hard choice! Thanks so much for the giveaway! We work hard at our titles. 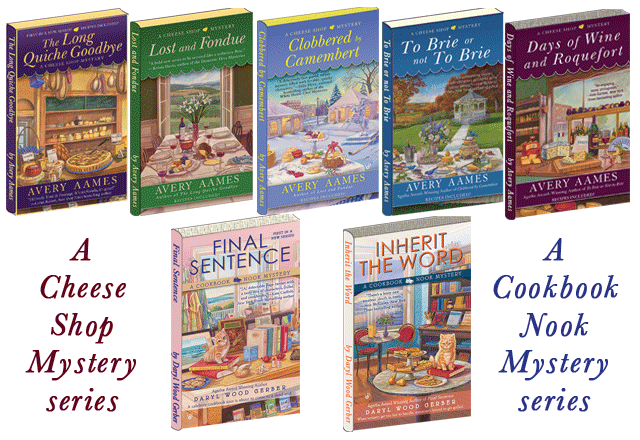 Love her cheese shop mystery series I have read all of them! I havent read the cookbook nook series yet, but I want to. Thanks, Destina (or Abby...) :) Got the "k"
All three books are on my TBR LIST. As I said earlier, love lists! Reaching to the ceiling. Cute. I agree. Depends on how much is going on. Of course, I love giveaways and reading ALL year round! Depending on what else is going on, there are seasons where I get to get more and others when I read less, but I always love to read. Thanks for the chance to win! Boy, there are a lot of avid readers! Love it. I read all year round and try to fit in some reading time every day. I love giveaways because they expose you to great authors that you may not have known about. Some of my favorite authors have been discovered through books I've received through giveaways. And yes, I am an avid Summer, Winter, Spring and Fall reader. Thx for the giveaway and a choice of which book we would want to receive. I know which one I want. Laurie, so glad to hear that giveaways open your eyes to new authors! I read all year long. I haven' read any of these books. Well, Charlotte, it's about time you start. LOL Remember, if you can't get them at a bookstore, many are at the library. What great company! Thanks to all of YOU for helping all of US at Killer Characters celebrate the season of reading! 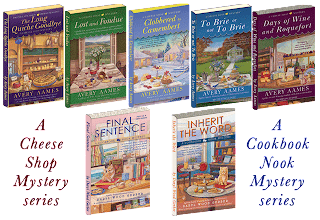 I adore cozy mysteries and I read through every season. I try to encourage my library to add cozies to their collection so that more people are exposed to these lovely stories. (And of course all of my book cases are full........and the spare closet............uh, well, you know how it goes). I am looking forward to reading anyone of these books. I enjoy them and they are a great read !! Thanks for writing and reading my post. Lois, so glad you chimed in. Both of these series are on my to be read list! Thanks for the giveaway! Cookbook Nook, please! Though I'm sure either would be great and both of these are on my tbr list. 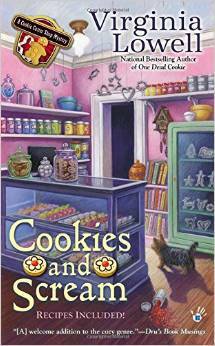 Love the Cheese Shop Mysteries and have the Cookbook Nook mysteries on my list. 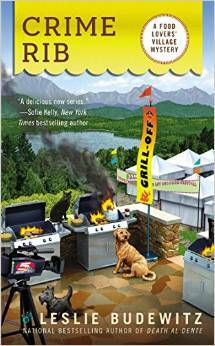 Just finished Leslie's Death Al Dente and Jessie's Drizzled With Death - can't wait to read book 2 in both series. 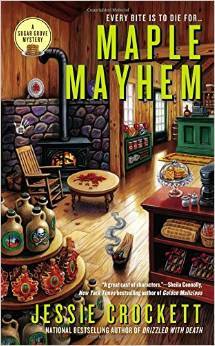 Love to read all cozy culinary mysteries. Thanks for giveaway . I love cheese and I live in Ohio and that's where the cheese shop series is set. I like cozies with food involved. Love both series! Enjoying this contest! Enjoy cozy mysteries immensely - never go anywhere without a book in my purse or briefcase. I've even been known to read at red lights! Wanda, stop! Do not read at red lights! Pull to the side of the road! So many good cozies, so little time to read them all. Please enter me in the drawing. I love your books! Reading is such a great stress reliever especially when you add a little(?)humor. I adore giveaways and am so excited about all these wonderful new releases-though I wonder how I'll ever read all the ones I want! So excited to see so many dedicated readers here today. You are all wonderful! That's from all of us at KILLER CHARACTERS. I love giveaways since I read all year. Some many books so little time. darn it. 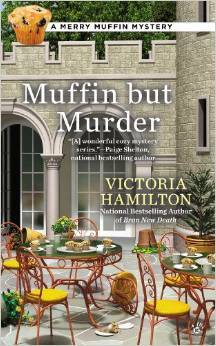 I love cozy mysteries and cant wait to read the new releases while at the beach or pool. These all look delicious. Hope to read them soon. The Final Sentence was a great book. I am sorry to say I have not been able to read any of the others as of yet. I hope to do so soon. I thoroughly enjoy all of the cozies mentioned and I'm so glad I finally have the time to read more of what I love! Thanks for all who participated today!